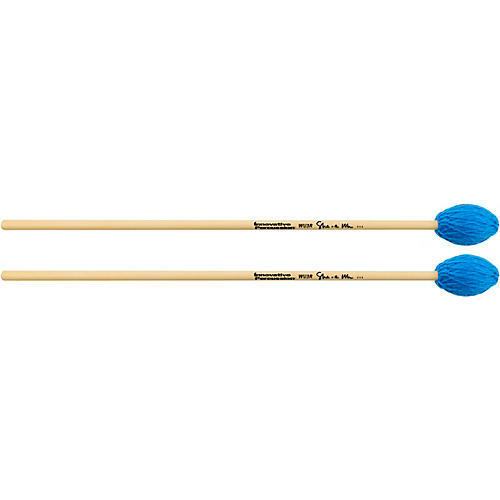 The She-e Wu Signature Series Marimba Mallets from Innovative Percussion feature nine mallets of varying hardness, including three models specifically designed for concerto playing. Models WU1 - WU6 feature a custom blended yarn wrap, while concerto models WU4C, WU5C, and WU6C are tightly wrapped with durable and organic bamboo yarn. These models feature rattan handles. Each captures the unique style, sensitivity, and essence of the artist that is She-e Wu.